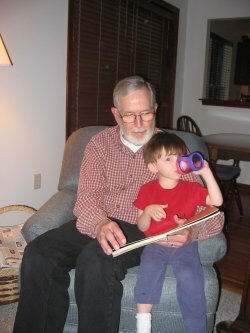 Here I am with Mr. Boerner, my adopted grandfather. He and Mrs. B have known my mom since she was 15, and they have been a regular part of my life as well. Saying goodbye to the Boerners was very tough for everyone.